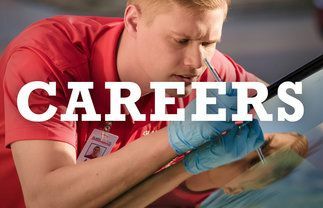 Click on an image for additional information! 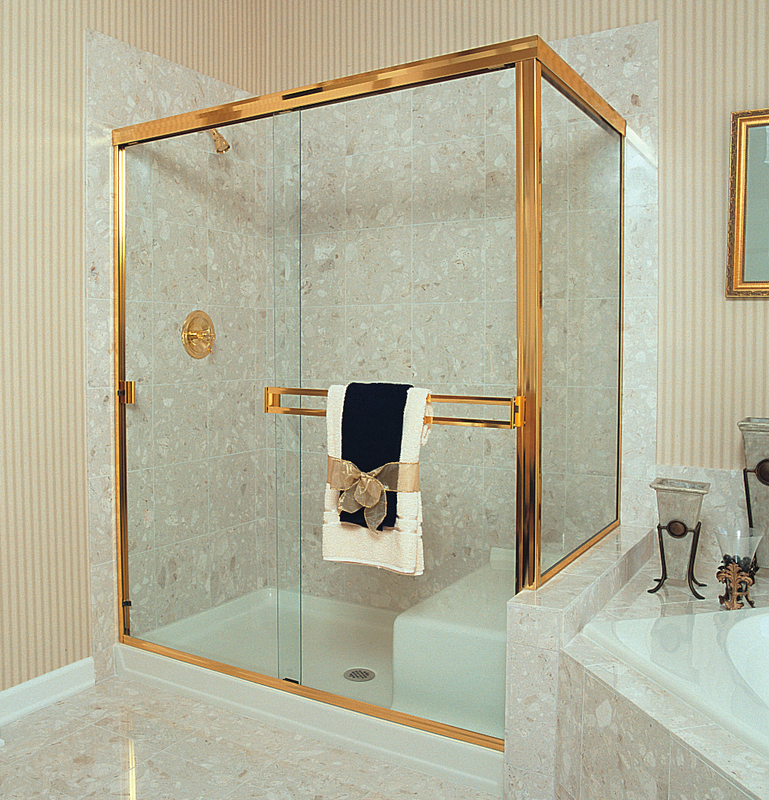 Thicker glass gives this shower enclosure a classy look. 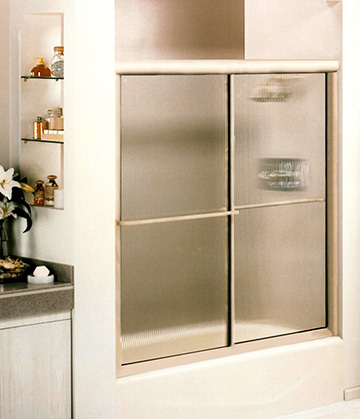 These unique swinging doors with decorative glass will set your home spa above the rest. 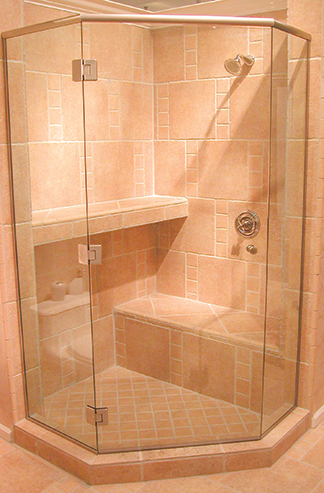 This heavy glass shower enclosure works well with tiled bathrooms. 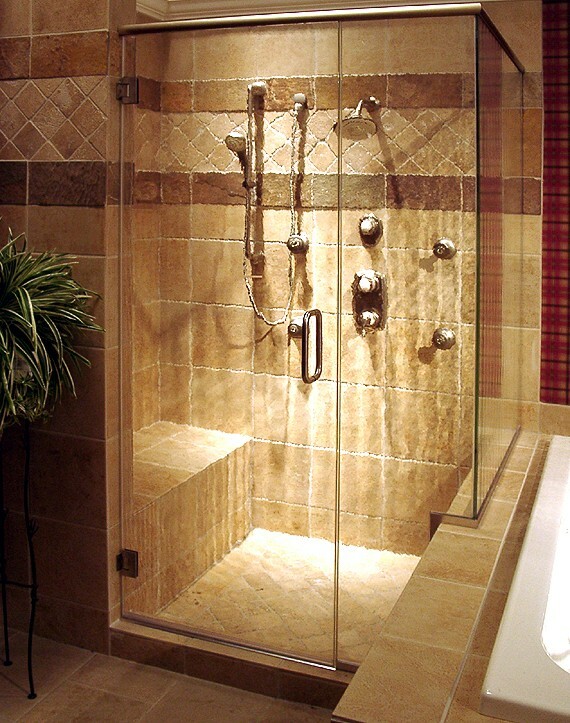 Light waterfall decorative glass adds dimension to this heavy glass shower enclosure. 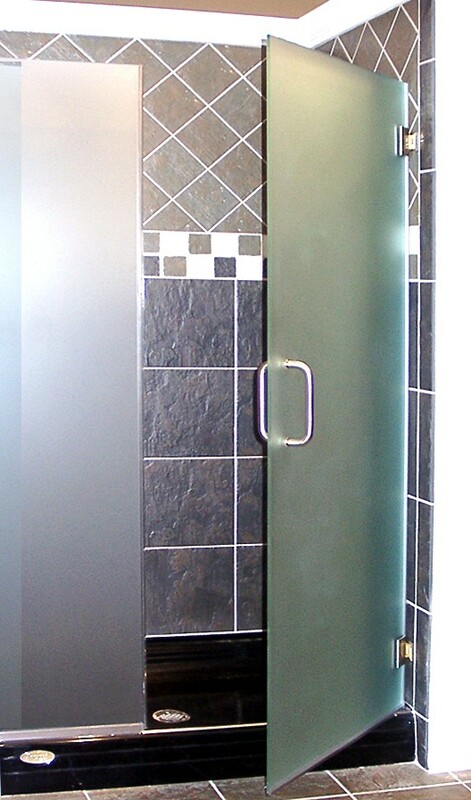 Thick, smokey glass protects your privacy with style on this heavy frameless shower door. 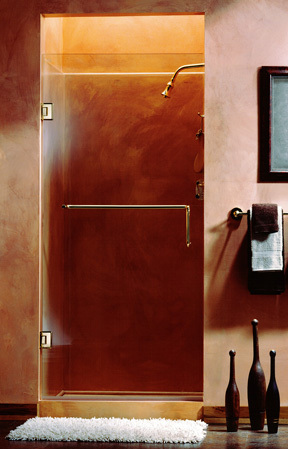 Yes, it's all glass in this heavy enclosure mounted to the ceiling for an open feeling. 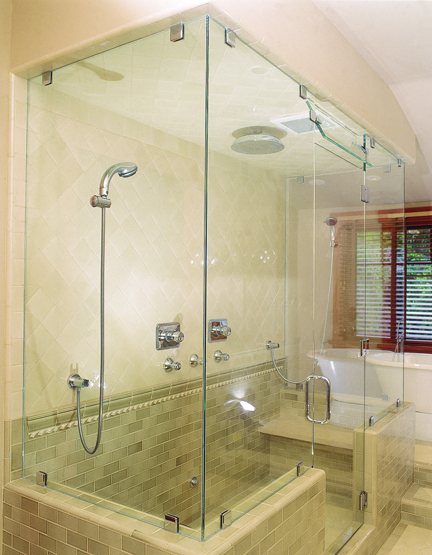 A thicker waterfall effect plays with the light in this heavy glass shower enclosure. 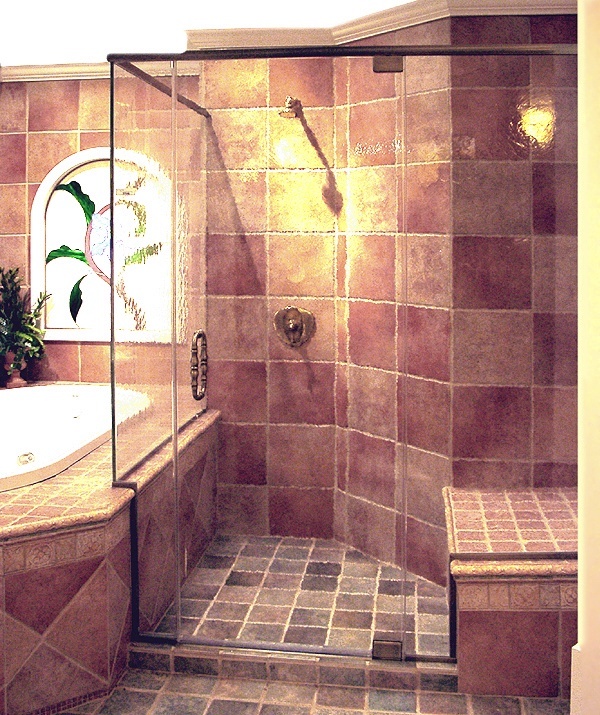 Imagine relaxing in this shower enclosure with beautiful frameless doors. 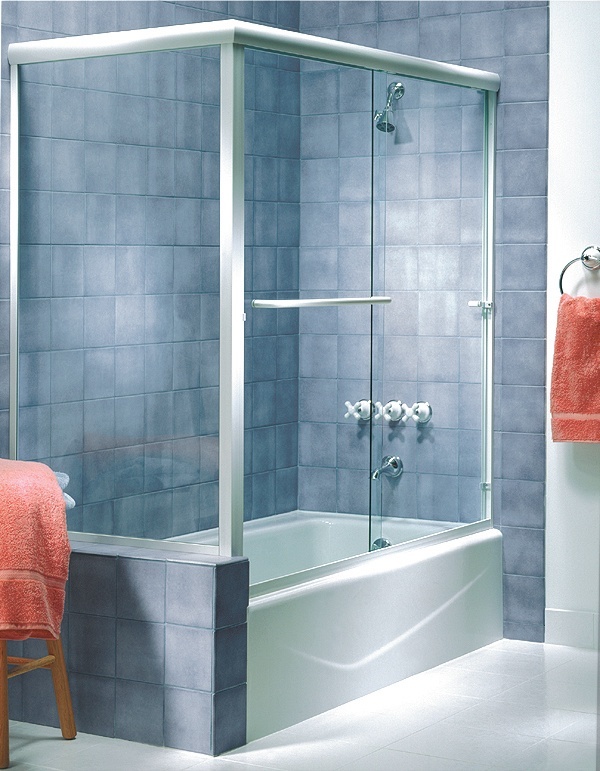 This frameless floor-to-ceiling shower enclosure can become your refreshing refuge. 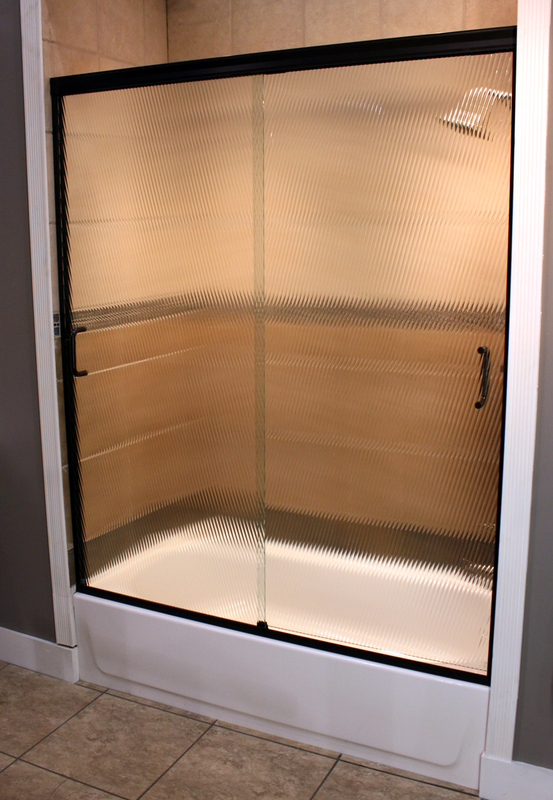 Frameless heavy glass creates your own sauna effect. 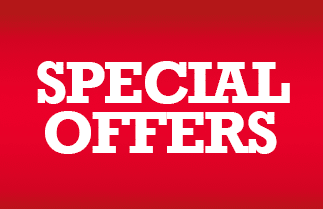 Add modern décor to heavy glass and create an enviable effect. Can you see the glass? 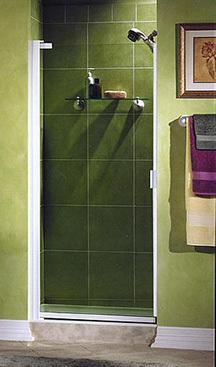 That's the point with this clear frameless shower door. 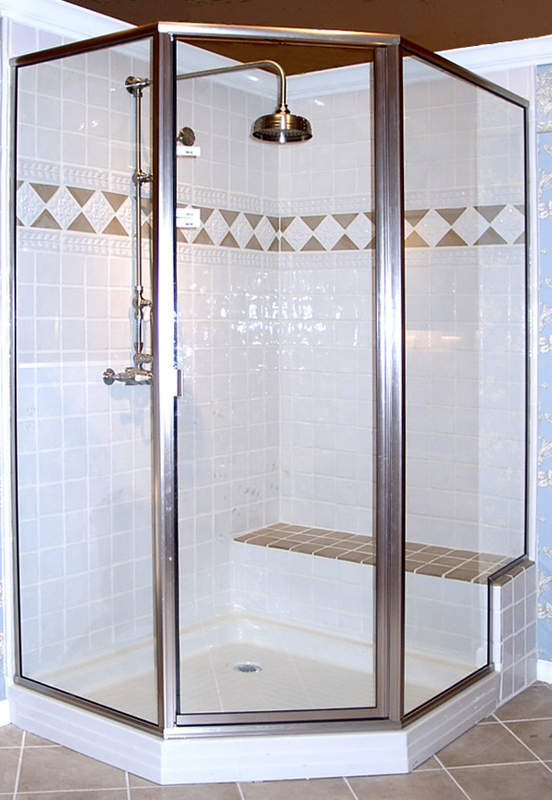 With frameless shower enclosures, you don't have to worry about matching hardware to your room's décor. 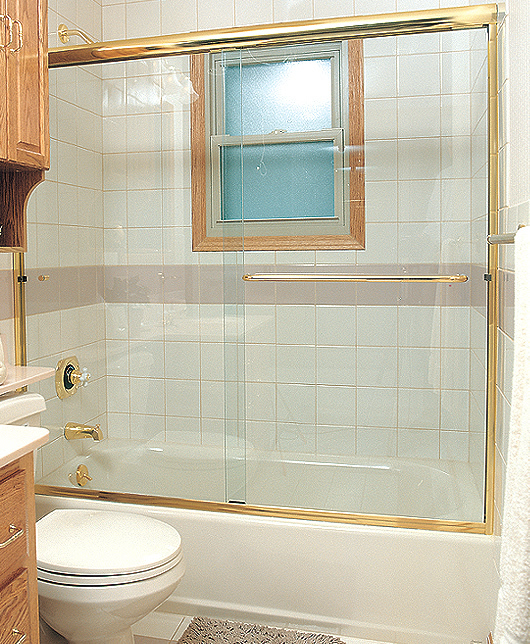 The Angled Reed decorative glass in this framed tub enclosure with sliding doors offers fashionable privacy. 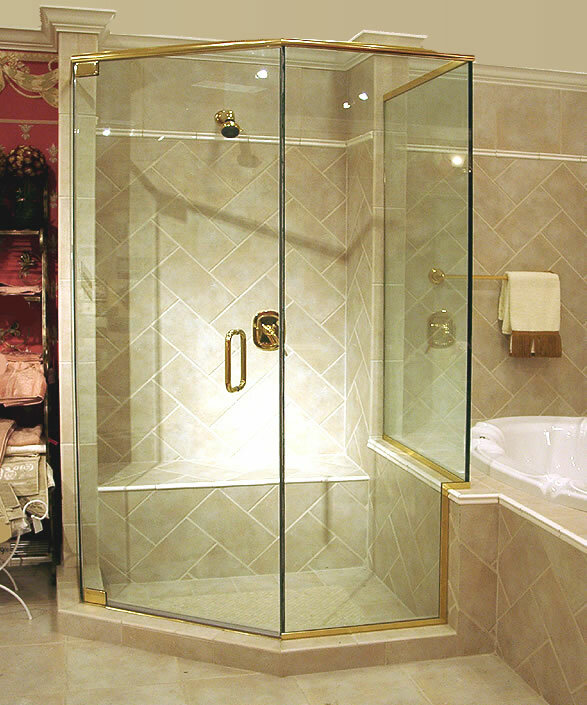 This framed glass shower enclosure with clear glass is classy yet affordable. 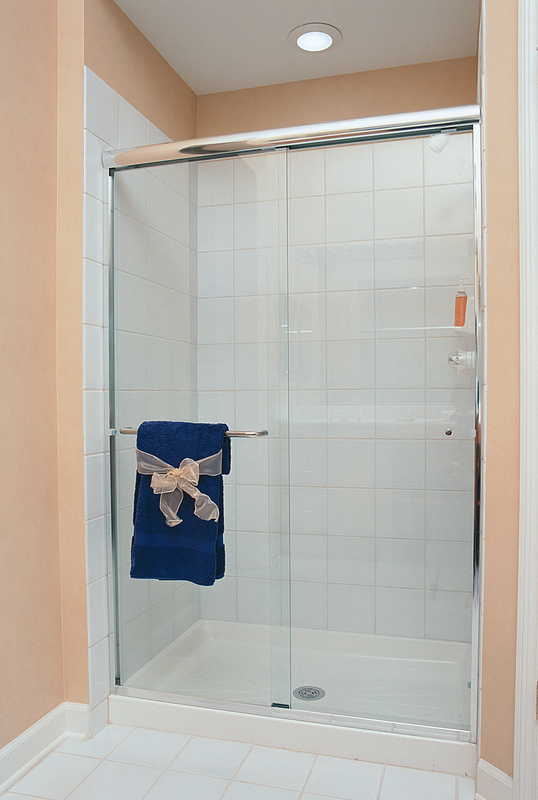 For shower stalls, old doors can be replaced with new, thicker heavy glass that matches your bathroom's style. 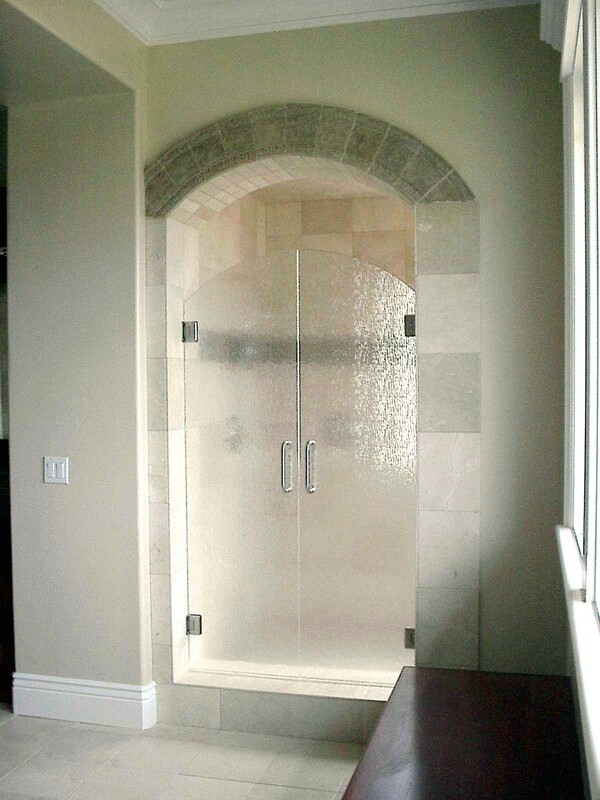 Expand a closet into a shower and protect it with this beautiful framed glass door and wall. 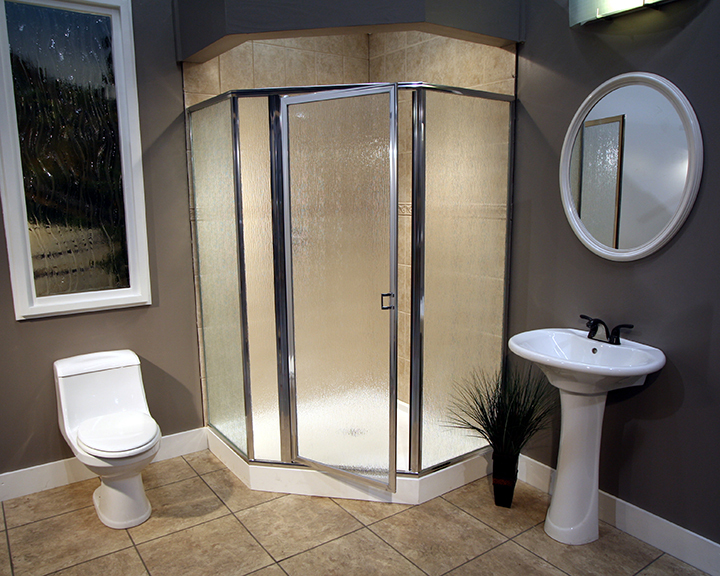 Create a shower oasis in your bathroom space with this 3-sided framed shower enclosure. 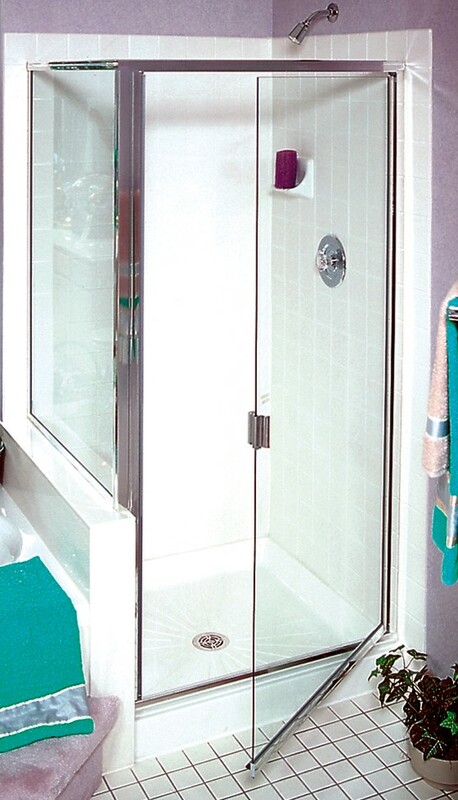 This full-sized sliding shower door allows for access when a swinging door wouldn't be practical. 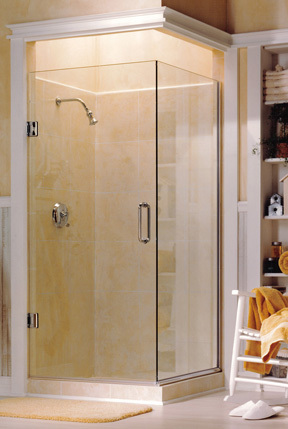 Create a shower oasis in your bathroom space with this 3-sided framed shower enclosure that uses the counter space. 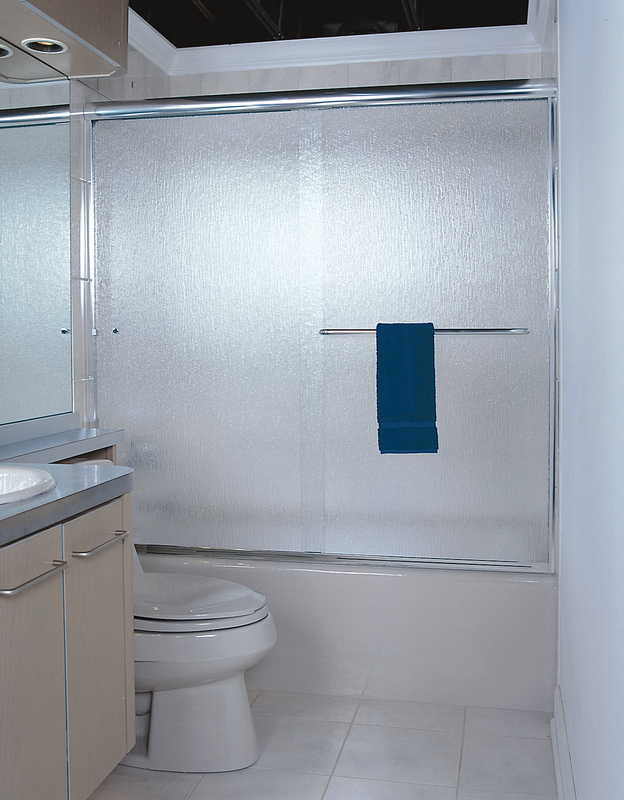 If you want to renovate your bathroom but don't want to lose the tub, this sliding door enclosure is a great alternative. 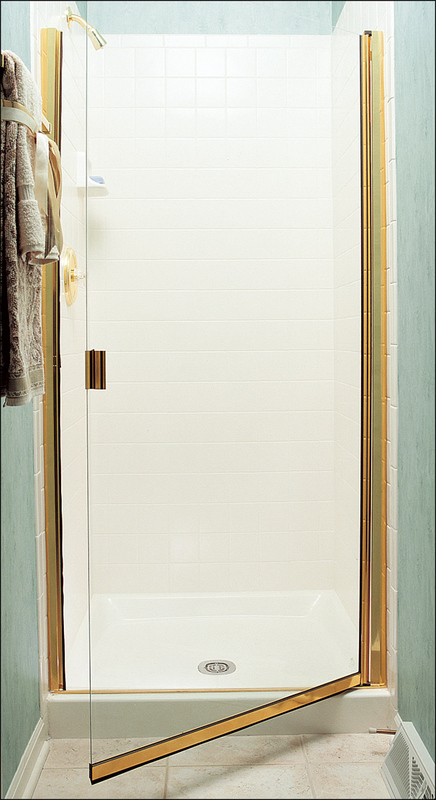 If you remove a tub to create a full shower, this enclosure with sliding doors saves space. 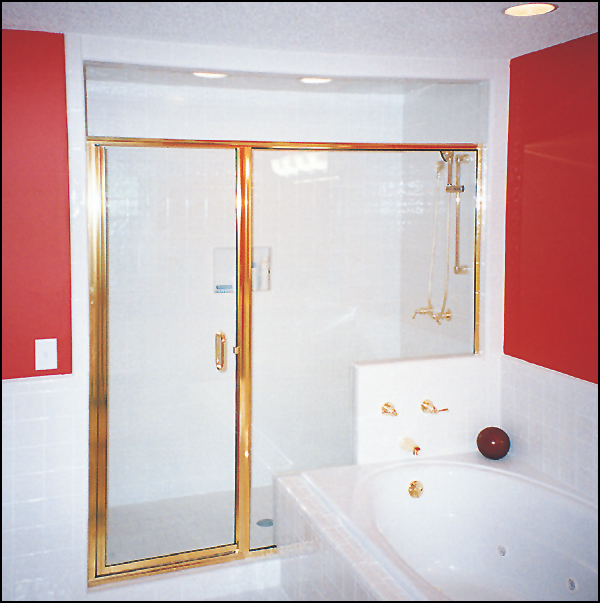 This sliding door tub enclosure features watermarked privacy glass. 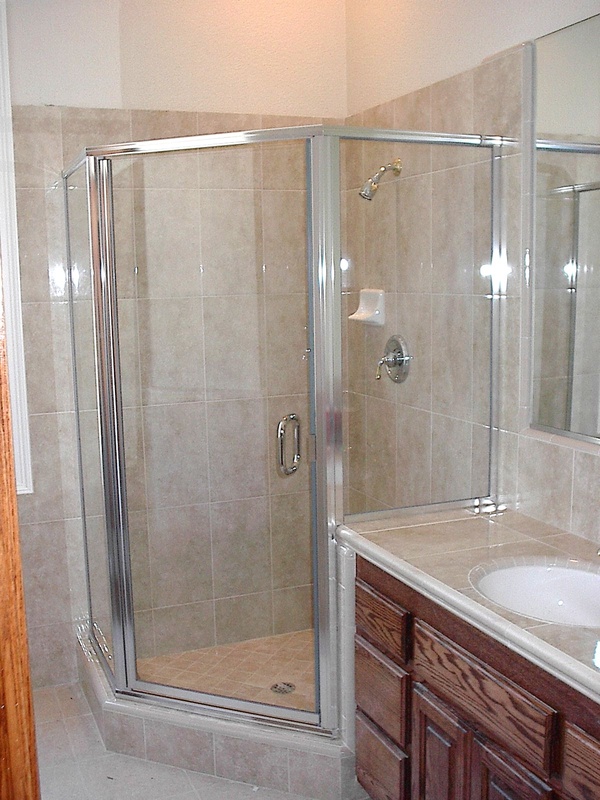 A sliding door tub enclosure changes the look of a small bathroom. 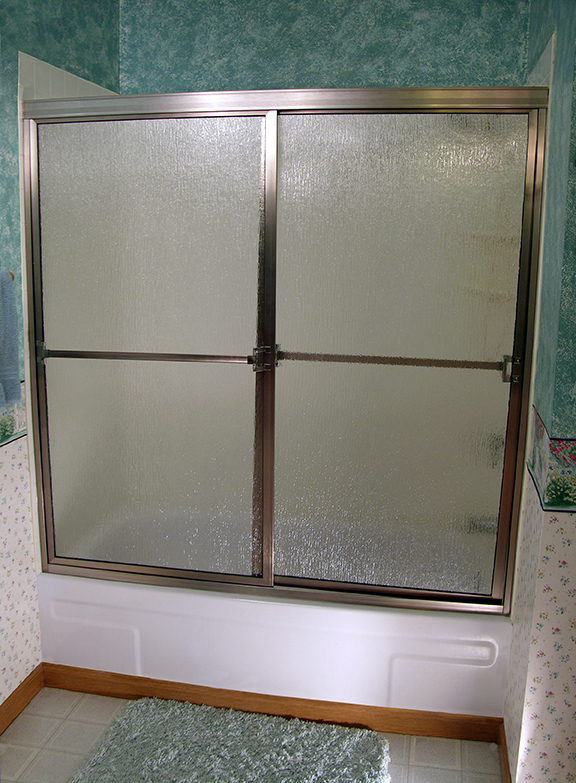 A basic sliding glass door tub enclosure is an economical alternative to moldy curtains. 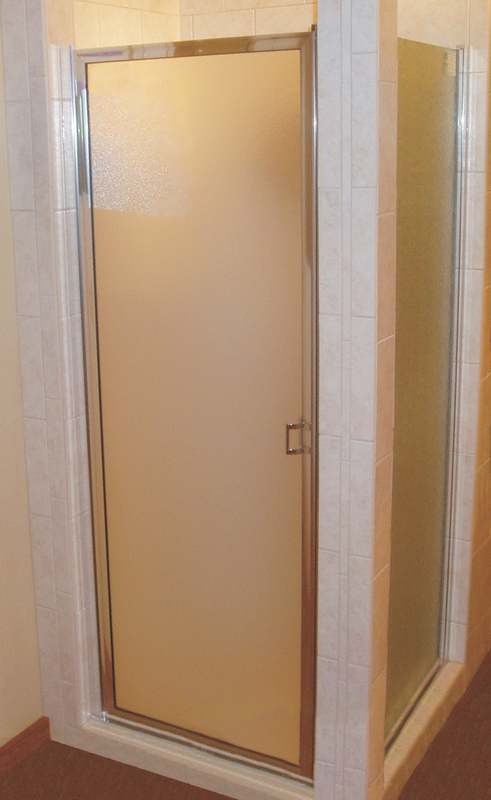 This basic shower door features privacy glass. 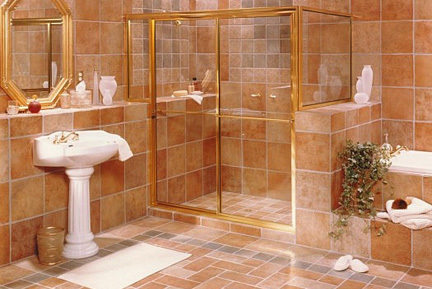 With this economical shower enclosure, simple elegance of the glass rain will beautify your home. 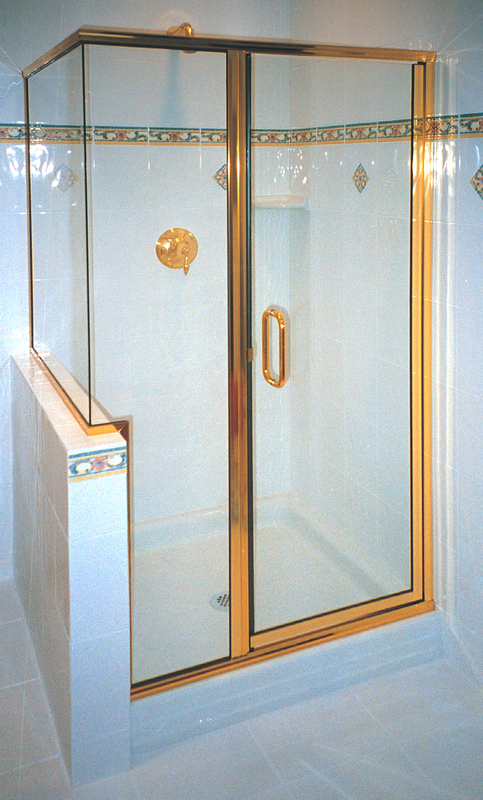 Classy frames and hardware accent this beautiful full shower enclosure. 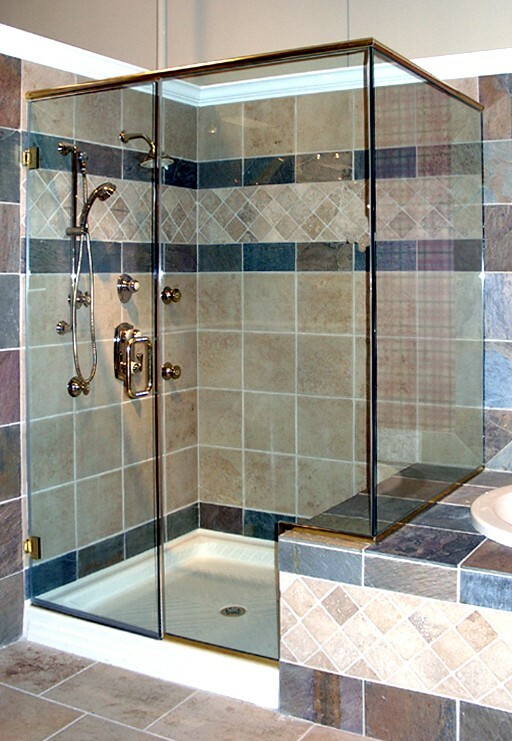 The glass practically disappears when there aren't frames on your shower enclosure. 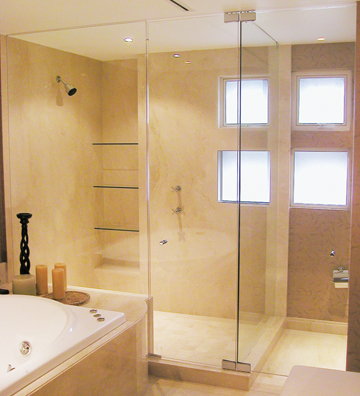 Renovate your bathroom with this simple framed glass enclosure. 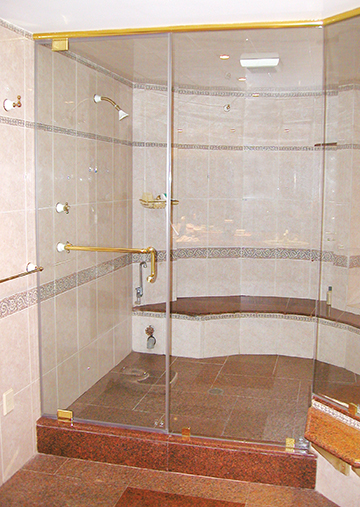 Specialty glass can enhance your tub and shower enclosure. 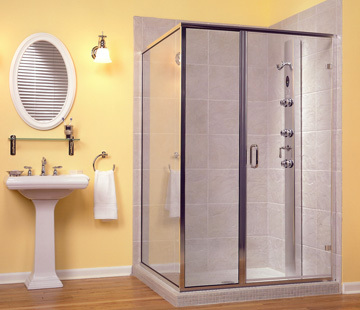 Create a tub enclosure that fits your style. 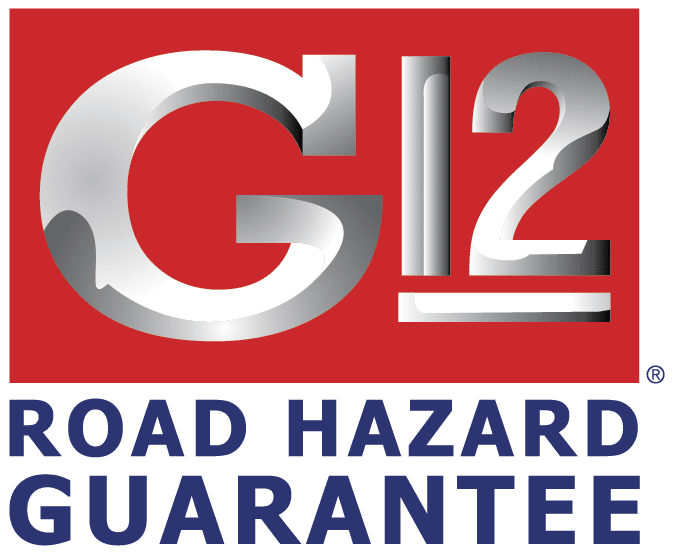 We have used their services for auto glass replacement on our personal and employee vehicles. 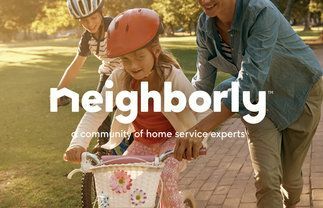 I have also referred happy home customers to their services. Keep up the good work Bill and Josh. 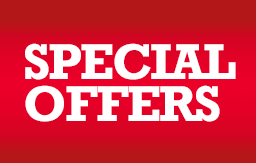 - Professional Window Tinting Inc.